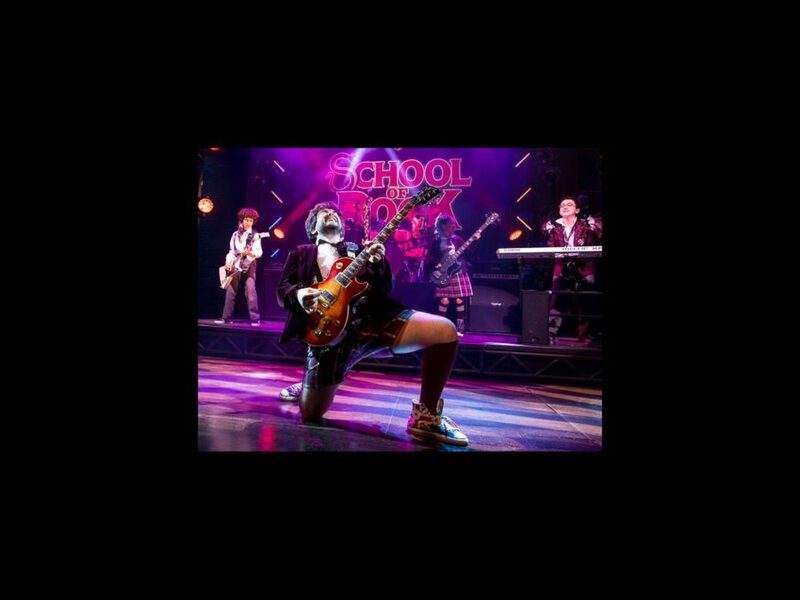 After officially climbing to the top of Mount Rock on Broadway on December 6, School of Rock—The Musical has announced that it will both cross the Pond to the West End and head on U.S. tour. Directed by Les Miz's Laurence Connor, Andrew Lloyd Webber's new tuner will begin performances at the London Palladium in the fall of 2016. A U.S. tour is set to launch in the fall of 2017, playing coast-to-coast engagements across America. The Great White Way incarnation is playing at the Winter Garden Theatre, starring Alex Brightman and Sierra Boggess. The tuner features music from the hit 2003 movie, as well as new music written by Lloyd Webber and lyricist Glenn Slater, with a book by Downton Abbey’s Julian Fellowes. The film was penned by Mike White, directed by Richard Linklater and starred Jack Black as wannabe rock star Dewey Finn, who poses as a substitute teacher at a prestigious prep school. When he discovers his students’ musical talents, he enlists his fifth-graders to form a rock group and conquer the Battle of the Bands. Broadway company members who are also sticking it to the man include Spencer Moses, Mamie Parris, Evie Dolan, Carly Gendell, Ethan Khusidman, Bobbi MacKenzie, Dante Melucci, Brandon Niederauer, Luca Padovan, Jared Parker and Isabella Russo.